George Weigel is a catholic writer and theologian as well as a specialist on Vatican and papacy. His book Witness to Hope is the most comprehensive biography of John Paul II. The book was written with cooperation of the late pope himself as well as members of Vatican staff. He is the director of the Catholic Studies program at the Ethics and Public Policy Center in Washington, D.C. The lecture is part of the Polish Studies Distinguished Lecture Series at the University of Washington. Salon Poezji (the Salon of Poetry in Seattle) invites to another evening devoted to the art of word. This time the featured poet is Seattleite Leszek Chudzinski. 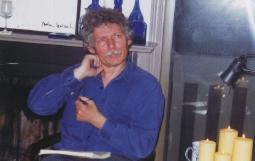 He writes poems in Polish and English and his poems have been published in Poland, USA and Japan. Most recently he collaborated with Tomasz Aleksander and Marzanna Bachowska on the Polna Rapsodia poetry & music program that was a great success with Polish audiences in the Pacific Northwest. The evening is organized by the Salon and the Polish Home. This is a paid reception with Mr. Weigel, the biographer of the late Pope John Paul II, before his lecture at the Kane Hall later the same evening. Mr. Weigel’s lecture is described separately below. The reception donations will benefit the UW Polish Studies Endowment Fund (UW PSEF). You can also buy the Pope’s biography Witness to Hope through the Polish News website. DJ Marcin Ludowicz invites to the Halloween theme disco at the Polish Home. There will be FUN Dance Music, from SKA to TRANCE, Polish and EURODance Hits, 70's Disco to Today's House music, you can also request your favorites. Halloween costumes encouraged but not required. You need to be 21+ to attend. Singing merry songs while feasting on good food and wine is a tradition which goes back centuries, if not millennia. The Polish Choir Vivat Musica invites everybody to such a joyful evening, where everybody is encouraged to sing along merrily with the members of the Choir and their special guests. The bar at the Polish Home will be open and deserts available as well. 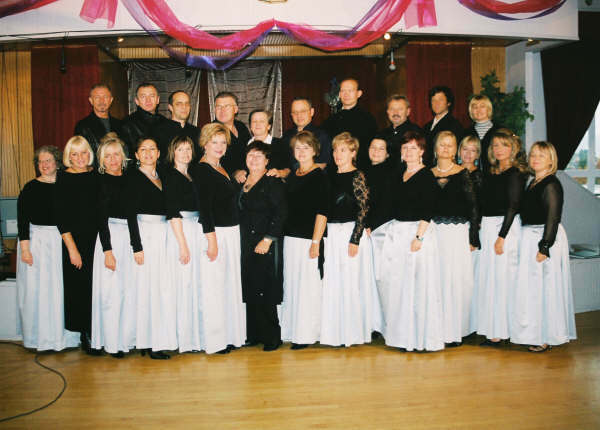 The evening is a fundraiser for the Choir to go to the Polonia Choir Festival in Koszalin, Poland, in 2006. This is a monthly meeting of the UW Polish Studies Endowment Committee. Among other activities the Committee is starting a drive for donations of goods and services for the yearly UW PSEC auction scheduled for April 22, 2006. The last year auction raised $40,000; the Committee hopes to do even better next time! Help and volunteers are needed! This is an open meeting for everybody interested in the project. After a summer slowdown, the Committee wants to start the fall fundraising campaign for the expansion and remodeling of the Polish Home. The Committee needs volunteers and welcomes any help. The campaign started in May and so far gathered over $180,000 in pledges. Ms. Jarocka is a pop singer who was on top of the charts in Poland in 70s with songs such as Gondoliers upon the Vistula, and who still does successful tours all the time – check her blog! She has been living in USA since 1990 and her most recent CDs came out in 2001 & 2004. Ms. Jarocka’s concert at the Polish Home features both her old hits and new songs. Dr. Kazimierz Braun, a professor at the Theatre and Dance Dept. of the NY State Univ. in Buffalo, NY, is an accomplished director, scholar, writer and playwright. He will talk about American and Polish Theater: Similarities, Differences and Mutual Influences. Prof. Braun directed over 130 plays, from Norwid to Rozewicz and Gombrowicz, and from Shakespeare to Camus, in Poland and in USA; wrote 30 books about theatre as well as novels and his plays have been staged in Poland, USA and Canada among others. The lecture continues the Polish Studies Distinguished Lecture Series. Polish Home Association invites to a celebration of the 25th Anniversary of the Solidarity movement. On August 31, 1980, a general strike led by Lech Walesa won the right to independent trade unions; that event started the collapse of communism in Europe. The program recognizes importance of Solidarity for democracy in Europe and honors Solidarity leaders living in the Seattle area; distinguished guest include Polish Consul P. Kapuscinska, UW Prof. H. Ellison, Seattle City Councilmember Jean Godden and WA State Labor Councilmember Rick Bender. There will be an exhibit about Solidarity and the unwavering support extended to the movement in 1981-1989 by the Polish community in Seattle. Barbara Patrick, the chef of the restaurant at the Polish Home, invites to family style lunches and dinners on every Sunday from 1 to 4 pm, from October 2, 2005 onwards.